Last week was my birthday and Sue decided she wanted a photo of everyone but her celebrating my birthday. 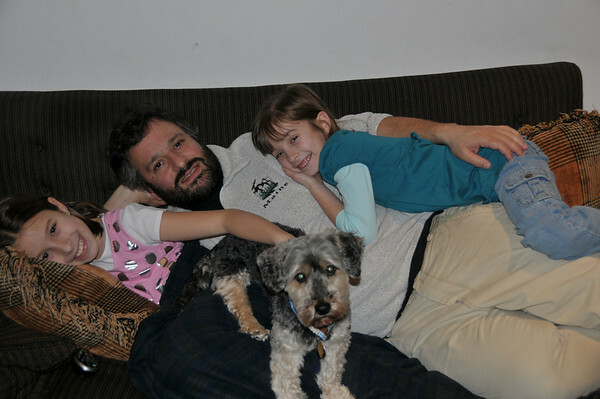 They all piled on the couch with me and Doogie was not to be left out. The good news is that tomorrow is Sue's birthday and turn-about is fair play.